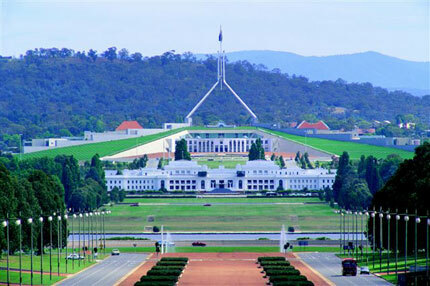 Canberra is one of the largest metropolitans in Australia and is the country’s capital city. Above and beyond this the city is also a popular tourist destination. The city has a number of tourist attractions ranging from museums, historical parks, to market places. Thus a visit to Canberra is worth every penny spent. Australia’s capital city’s offers a wide variety if exciting activities. These activities range from fun scientific activities, to exciting park activities for the whole family. A visit to one of Canberra’s most iconic buildings, Questacon, is highly recommended for anyone visiting the city for the first time. The building is a gigantic structure that houses a host of fascinating scientific instruments. These instruments include talking robots, earthquake simulators free fall slides just to name a few. For art lovers, the National Gallery of Australia houses more than 120,000 sculptures and artworks. The gallery boasts of artworks from some of the most famous artists from Picasso to Monet. The Gallery normally hosts a themed exhibition showcasing art from a specific era, artist and style. A visit to Questacon and the National Gallery of Australia will be exciting for anyone visiting Canberra. For lovers of history, the city of Canberra is rich in history. The war memorial is the city’s most magnificent historical site. The memorial tells the tale of the two world wars, through the war scenes models, gigantic fighter plans, submarine models all of which are housed inside the memorial. The memorial is exciting and fun for both adults and children and is a great place to spend the day with the whole family. The memorial offers history enthusiasts with a glimpse of how it was during the two world wars and gives visitors an opportunity to appreciate the sacrifices made by those who died in the two wars. Rising some a hundred and ninety five meters above Black Mountain, this majestic tower features a café and a bar. Thus it is an exciting place to unwind after a long day of activities. The tower also has a gift shop for visitors so they can buy souvenirs. In addition to this the tower offers a breathtaking view of the capital city. And is a popular relaxation spot for many in Canberra. Australia is world famous for its handcrafted goods and indigenous market places. For lovers of souvenirs and shopping sprees, Canberra offers a dynamic shopping experience. Though it is possible to get some of the big fashion houses such as David Jones and Myer, The CraftACT and Old Bus Depot Markets offer a unique shopping experience. The former is an exhibition that features contemporary works for visitors to sample. These works include artistic designs in the form of bags, pendants, bowls, and prints among many others. The Old Bus Depot Markets are unique to Canberra and specialize in handcrafted goods, edibles and wines from Canberra’s many wineries. Thus, if you wish to visit any of the above mentioned attractions of Canberra, all you need is a valid Australian visa.